My husband passed away in early November of this year after a brief illness. He was my best friend and soulmate. During the last ten days of his life, we were staying at a beautiful hospice. We had many visitors and several bouquets of lovely yellow roses, which were a family emblem. During one of his moments of clarity, I asked him if he would let me know if he was okay after he passed over, and he said he would. We have both had a very strong spiritual connection over our 27 years together, and I truly believed. The day after he died, I was feeling so desolate. My son, daughter-in-law and granddaughter had been with me for part of the day, and then I had left the house for a while. When I came back, sitting on the table was a beautiful bouquet of lavender roses and white snapdragons. My daughter had brought them in when I was out. The tag said that they were from a childhood friend of my son’s who could not attend the celebration of my husband’s life but wanted to show that he cared. He had said to my son, I hope she likes purple roses. My tears flowed and a beautiful feeling of love and peace came over me. 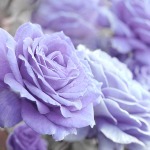 None of them could have known that the special love roses that my husband and I gave to each other over the years were lavender. For me, this was a loving message from my husband through my son’s friend to indeed let me know that he was okay. Yvonne has won a free chat or email reading with Cindy Attar. Cindy’s gifts include mediumship; she can connect with departed loved ones and deliver messages from them. To learn more about her work and schedule a reading with her today, visit cindyattar.com. Next week’s winner of the Amazing Story Contest will win a free psychic reading with Angela Christine. Angela is an ordained minister (high priestess) through Our Lady of Enchantment Seminary of Wicca in Clearlake, CA. She has been reading auras and chakras for 21 years. 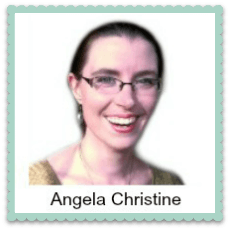 Angela is also a credentialed Spiritual Wellness Advisor through Universal Class and has a Bachelor’s in English and a Bachelor’s in Environmental Studies. Her main area of focus is YOU and the highest potential you can achieve through spiritual work. For more information, visit integrativespirithealing.com.